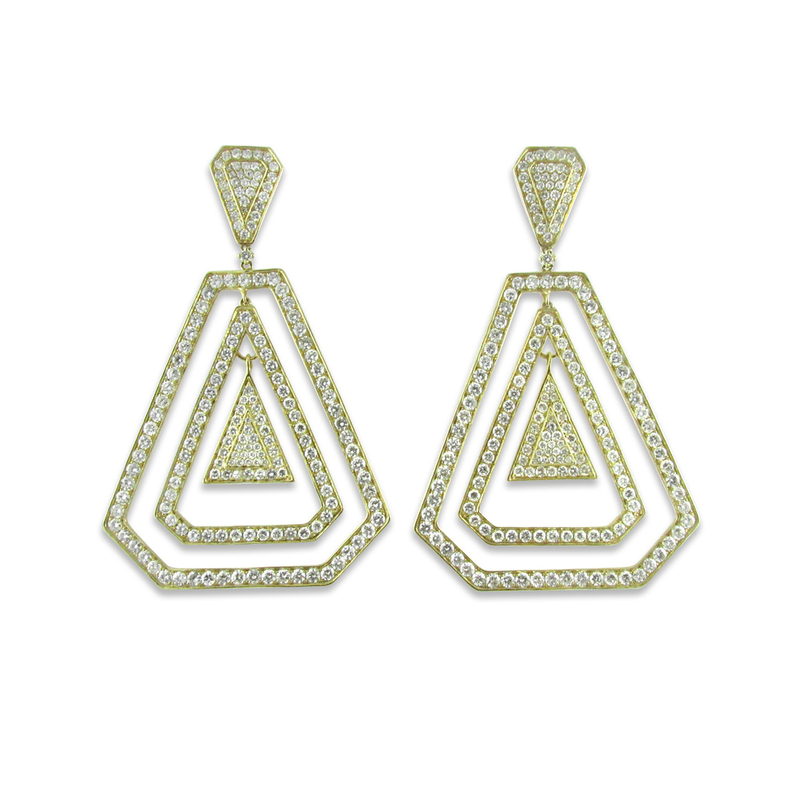 Large 18KT yellow gold geometric dangle earrings. The center triangle can be removed to add alternate pieces. Total diamond weight is 15.44 carats. 3 1/4” long. For pierced ears.